This album should have been released in 1987. This is an album that would be a great companion piece to Last In Line. Or Heaven and Hell. Or Epicus Doomicus Metallicus. Or Psalm 9. You dig what I’m throwing down? Damn straight. I knew that you would. There’s a reason for this. 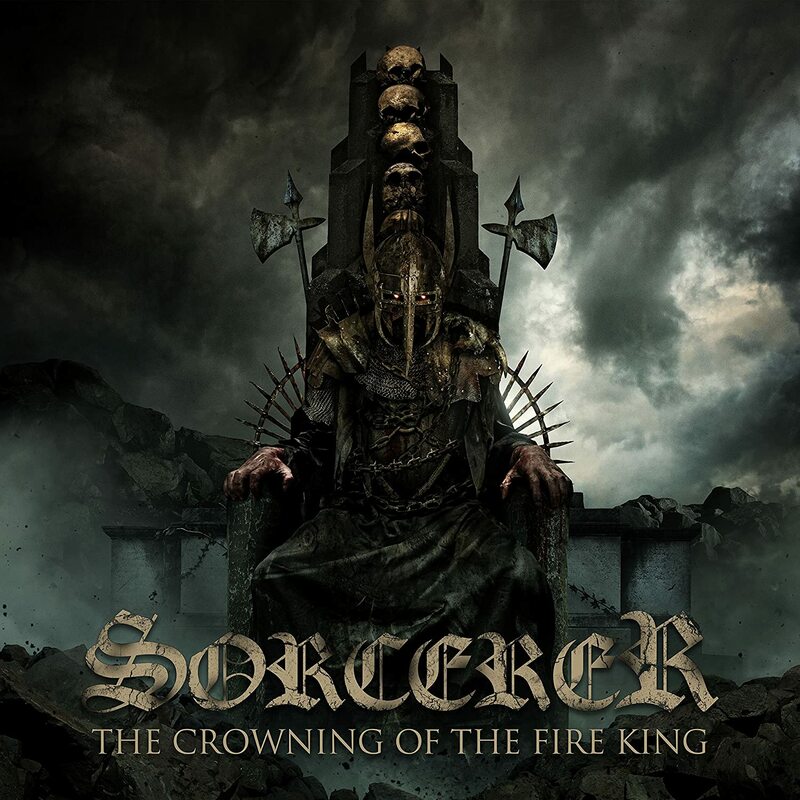 Sorcerer is a band with a somewhat strange career path. It looks like these guys formed in the late 80s in Sweden and put out a couple of demos that received some fairly decent press. Band members ended up going their separate ways before a proper album could be produced. Fast forward to 2010 to see a new version of the band put back together to play some festivals and then in 2015, they finally end up releasing a proper debut album. The end result was as if the band placed themselves in a time capsule and the resulting sound was straight out of the late 80s. The Crowning of the Fire King is the follow-up to the debut album and it really fulfills the promise of this long-gestating project. You’ve got a serious old school doom blend of Candlemass and Black Sabbath riffs with the powerful Dio-like vocals of Anders Engberg overtop. These guys manage to walk that really fine line of being epic and soaring in scope without devolving into the land of melodramatic cheese in which some bands indulge. If you dig your metal in the traditional sense of the word, this is the album that will help you scratch that itch. I honestly haven’t been able to wipe the grin off of my face since the first listen.